Elderly individuals who live in nursing homes are in a vulnerable position. They must trust the nursing home’s staff to provide adequate care. Unfortunately, all too often, elder abuse occurs in these situations. In recognition of the risk of abuse, nursing homes within the last few years have passed regulations at the federal level that help to protect loved ones who live in nursing homes from abuse. It is important that all individuals who reside in nursing homes, as well as their loved ones, understand the role of these various laws. Individuals who moved into a nursing home more than several years ago might remember a clause on intake paperwork stating that the individual was prohibited from initiating legal action against the nursing facility under any circumstance. 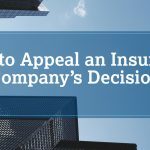 Instead, a person might have agreed to an arbitration clause stating that any disagreement with the nursing home would be resolved in an arbitration hearing. Federal law, however, has since made arbitration clauses of this nature unenforceable provided that the nursing home accepts payments from Medicaid or Medicare, which includes most facilities. This rule was a significant step forward in the rights of nursing home residents. This means that whenever any type of abuse or improper action occurs, a person is no longer required to settle the matter in the relative secrecy of an arbitration meeting, which means that nursing home residents are more likely to receive the compensation they deserve or the nursing home will risk poor publicity. 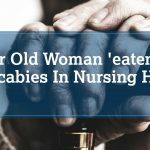 In addition to this federal law against arbitration requirements, Governor Chris Christie signed a law in October 2017 requiring all suspected abuse or exploitation of the elderly that occurs in nursing homes to be promptly reported to law enforcement. More specifically, nursing homes are required by the law to report abuse within 24 hours of noticing the first signs that any type of harm has occurred. In cases where the abuse involves injuries to an individual who lives at the nursing home, staff must notify law enforcement within two hours of discovery. Prior to the passing of this law, nursing home workers were only expected to report abuse to the Office of the Ombudsman for the Institutionalized Elderly. After a report was made, the Office would investigate the complaint and be not required to inform law enforcement about the abuse. In 2016, New Jersey passed another state law concerning the regulation of nursing home. This law, called the Safe Care Cam Program, offers the loved ones of a nursing home resident the opportunity to rent for free video-recording devices to monitor activity that occurs at the facility. Prior to May of 2017, these free-to-rent devices were only available to residents of New Jersey who helped place their loved one in the nursing home facility. Since this date, the state expanded the program to all family members of residents who live in New Jersey nursing homes. If abuse is occurring at a nursing home, these cameras can be used to document abusive behavior. These laws and various others have significantly improved the rights of nursing home residents in New Jersey, but there is still a risk that abuse can occur. If you believe that your loved one is being harmed or exploited in any way by the staff at a nursing home, contact Ferrara Law today for assistance.